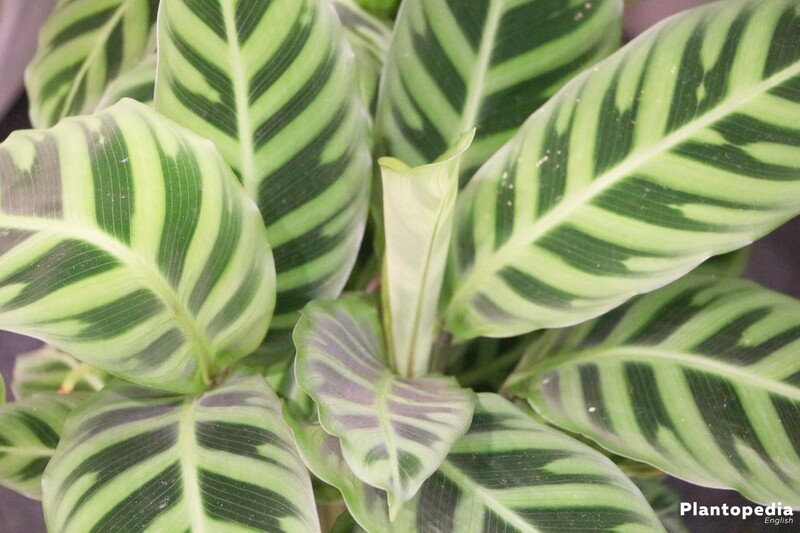 Calathea is an extraordinarily decorative leaf ornamental plant. Its elegant leaves stand out by various colourings and distinct patterns. 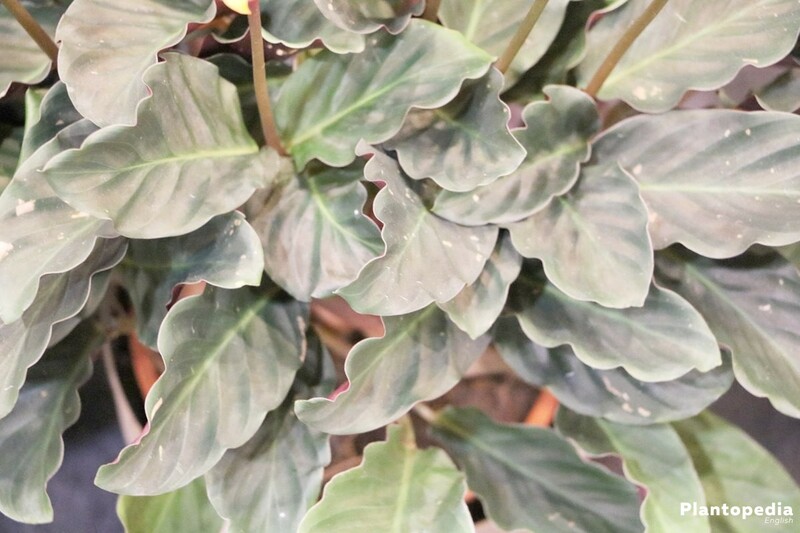 In tropical regions, it was used as roof covering and for the weaving of baskets, which earned the plant the name of “Calathea”. This derives from Greek and means something like “basket”. 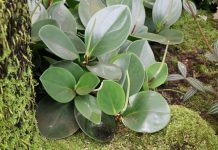 All these things make this typical rainforest plant an attractive and extraordinary indoor plant. 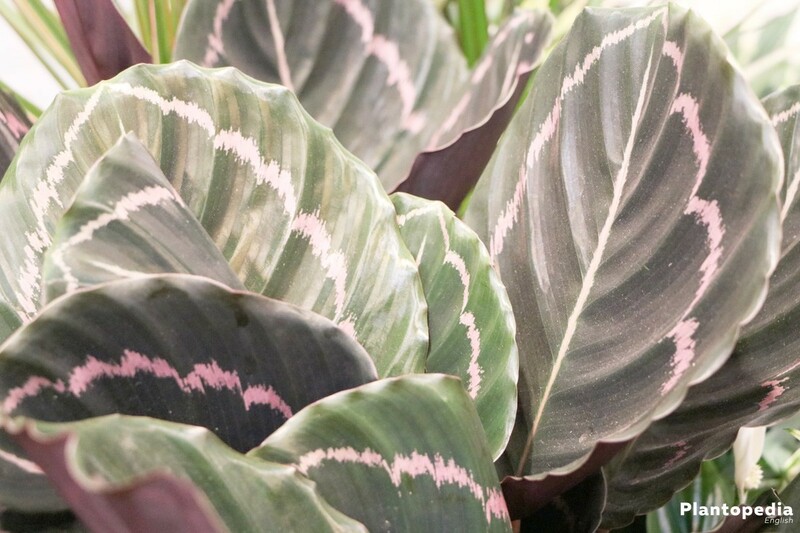 Calathea with its 270 species is the most significant genus of the Marantaceae plants. 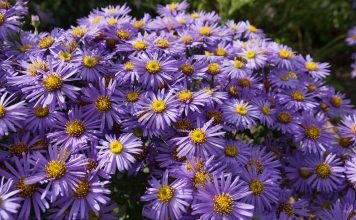 It grows perennially as well as herbaceously and varies in form, colouring and size. 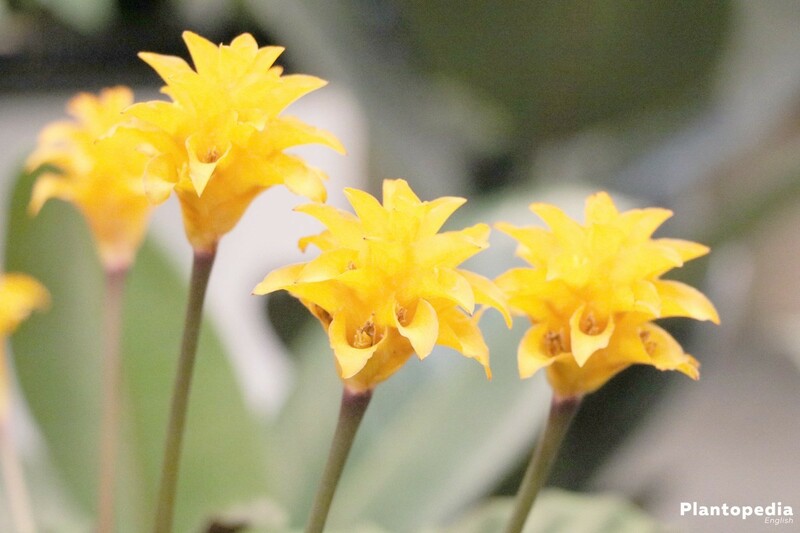 It reaches the plant height of 15 to 30 cm. 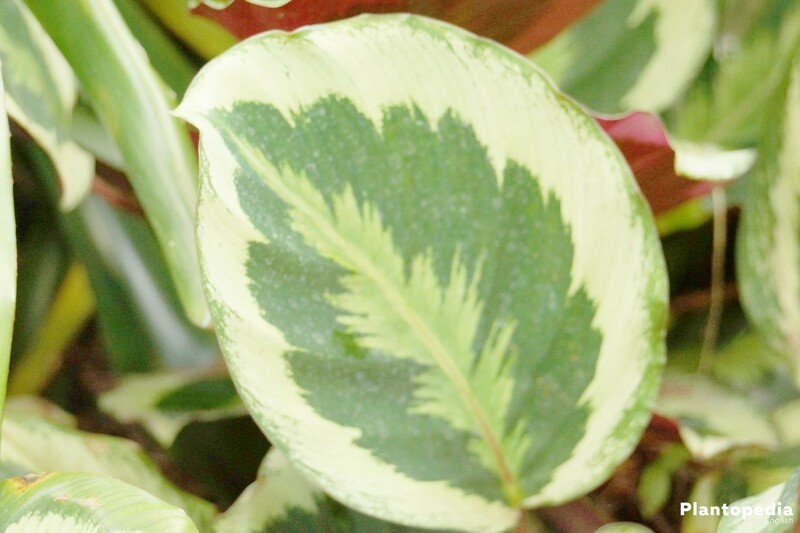 The greatest decorative value have the multi-coloured, strikingly marked, spotted or striped leaves. In the evening, they roll up, whereas they make soft crackling sounds and in the morning they open up again. 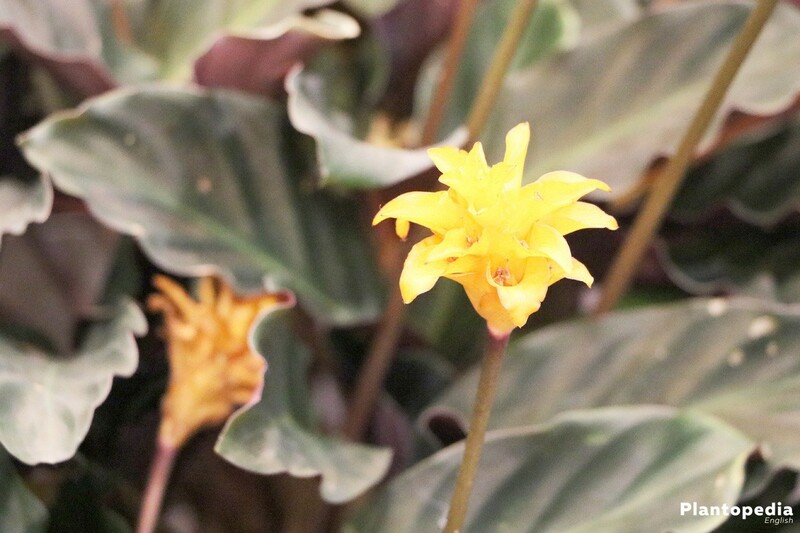 Some Calatheas put forth pearly-white or yellow-orange flowers. Flowers and roots of some species are even eatable. 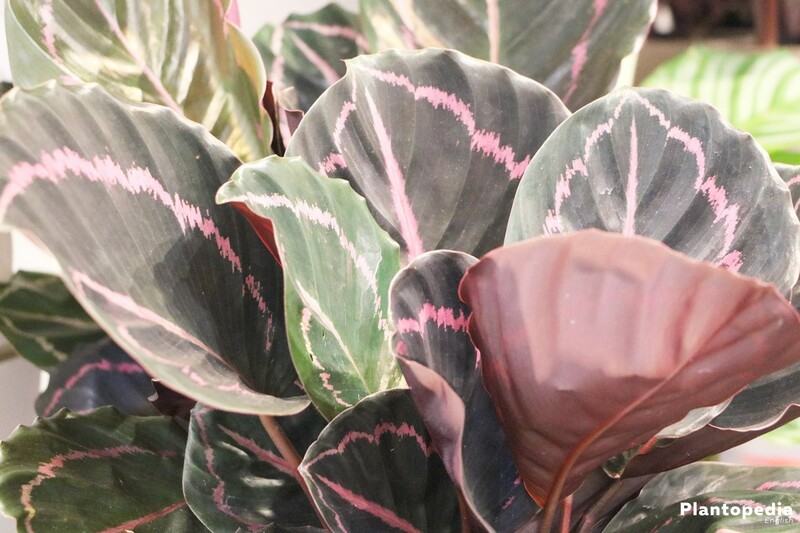 Calatheas are beautiful plants that beautify the living space in a very classy way. During the day, they present their spectacular leaf decoration. In the evening, they erect and roll up. With all the grace, the care of this plant is not completely problem-free. If you consider some things, this beauty can delight you for many years. 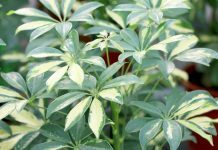 In their homeland, they grow as hanging or climbing plant or groundcover in rather shady undergrowth. Therefore, location, temperature and humidity are to resemble their tropical homeland as much as possible. Only in this way, they can display their splendour and keep it permanently. 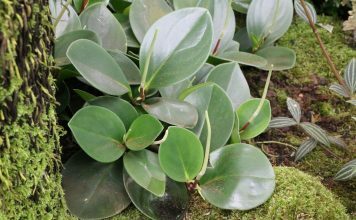 This typical rainforest plant finds the best conditions in a warm, draught-free, half-shady location without direct sunlight, no matter if morning, noon, evening or winter sun. If the leaves roll up sideways, it can be a sign for too much sun. A north window would be ideal as location. For the protection from sunlight, an additional shadowing can be useful if necessary. Equally important is an increased humidity of 70 up to 80 percent during the growth phase from March to September. The temperature should be between 18 and 25 degrees and in winter it should not drop below 18 degrees neither. The substrate should be fibrous, breathable and rich in humus. High quality potting soils with a high percentage of humus are suitable. By mixing in perlite or small polystyrene beads, the permeability and the water storage capacity can be improved. A substrate based on peat or peat substrate is possible as well. Alternatively, you can produce an own soil mixture out of three parts of compost soil and one part peat. The pH value should be between 4,5 and 5,5 and should be controlled regularly if possible. 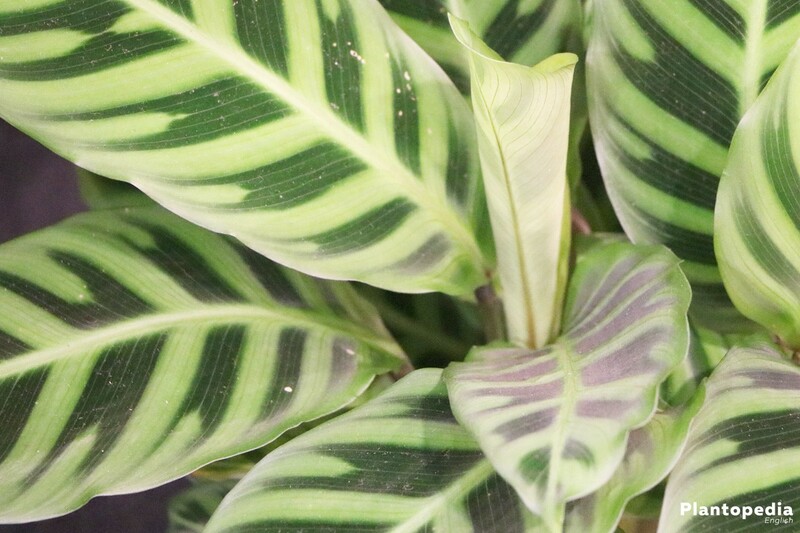 Calathea has got a comparatively strong root growth so that they have to be replanted every 2-3 years. If the roots grow out of the substrate at the latest, it is time for a bigger pot. The new plant vessel should be wider than high because this plant belongs to the shallow rooters. on the drainage a part of the substrate mixture is put and on this the Clathea is planted centrally. 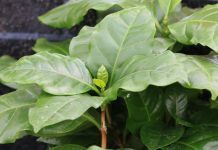 In order to satisfy the relatively high water demand of this plant, it is watered regularly from April to September with temperate, lime-deficient water. For lime-deficient water, Calathea is particularly grateful. The soil should be neither too try nor permanently wet during the growing phase. Dry root bales is tolerated just as little as waterlogging. Ideally, you keep the substrate consistently wet and let it dry on the surface but not dry it out. Dry leaf points mostly indicate a too low humidity. 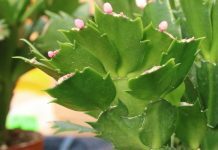 In order to increase it, you should spray the Peacock Plant with lukewarm water more often. Additional air humidifier that you set up in the room can be also useful. The warmer the location the more frequently it has to be sprayed. Ideally, you use lime-deficient water in this case as well. Tap water would leave lime stains on the leaves. Nevertheless, you can also use tap water if the water has been stagnant for at least a day. Since the beautiful leaves can gather dust quickly in the room, you should wipe them off occasionally with a wet cloth. In doing so, you should be careful in order to prevent damages of the leaves. In contrast to the water demand, the nutritional requirements are rather low. During the main growing period, you add liquid fertiliser to the irrigation water in half concentration approximately every 4 weeks. For the fertiliser you have to consider that it has a low fluorine content. Moreover, a too high concentration of salt should be avoided. A special fertiliser is not necessary. 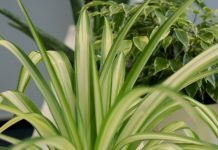 Normally, a plant fertiliser for indoor plants is completely sufficient. Alternatively, long-term fertilisers in the form of fertiliser sticks can be applied as well. 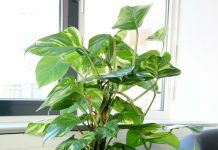 The pruning measures for Calathea keep within limits in comparison with the other plants. Only withered and dried leaves are removed at the base, directly on the ground. In addition to that, the withered flower heads are pruned at flowering species. during the cold season, therefore, from October to February, it can be kept a bit cooler. The application of peat pots is suitable for sowing. Firstly, you let them macerate in the water until they reach their maximum size. Then you put them separately in small pots. These peat pots have the advantage that you do not have to remove the young seedlings to replant them but you can transplant them together with the peat pot without damaging the roots. Obviously, you can also use a normal sowing substrate and a common mini greenhouse. Holes are punched in the peat pots by a dibber and the seeds are sowed in them. You put the small pots in sealable, light-permeable foil bags, ideally pressure lock bags. Then you add so much water in the bag that few millimetres of water remain after the absorption. Now you add some drops of fertiliser in the water and close the bag. Afterwards they are not watered any more. You put the whole in a half-shady spot with temperatures between 24 and 28 degrees. At night, the temperatures can drop to 24 degrees. As soon as the seedlings are big and strong enough, they can be replanted together with the peat pot in bigger pots. 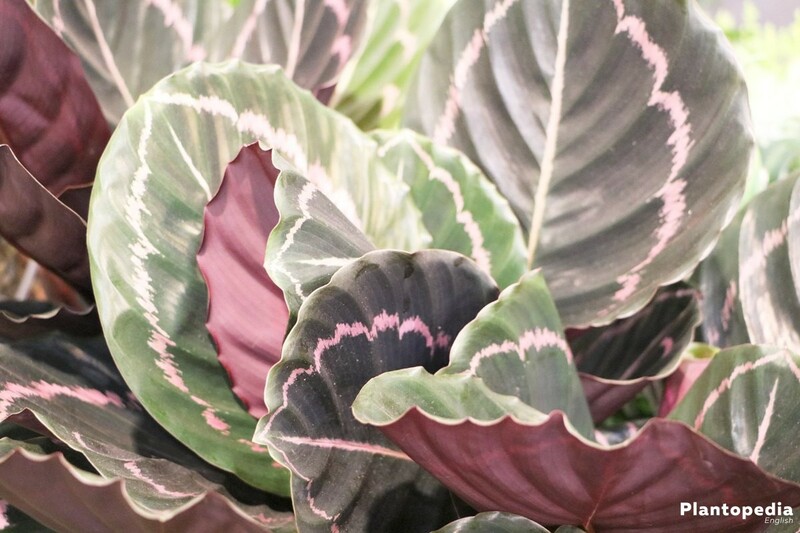 If you own a particularly beautiful specimen of Calathea, the desire for another plant is obvious. The cultivation by cuttings is particularly suitable for this purpose. 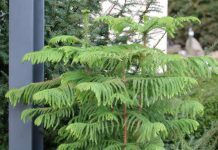 In the period of February to March, you cut many appropriate terminal cuttings, which have minimum two, better 3-6 leaves. 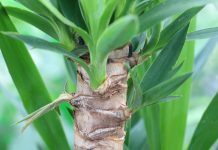 They are cut directly over the ground with a clean and sharp knife and are put immediately in small pots in humus-rich cultivation substrate. Alternatively, the use of peat pots is suitable as well. For more compact plants, it is reasonable to plant 3-4 plants together in 10 cm high pots. The substrate is wetted and kept evenly wet until the rooting. You put a light-permeable foil bag over the pots and cuttings and put the whole in a warm, half-shady spot with temperatures of approximately 23 degrees. For the optimal germination conditions, the humidity is to be between 85 and 90 percent. In order to avoid mould growth on the substrate, you remove the foil daily for a short time. After approximately 6-8 weeks, the pots are well-rooted and the plants can be replanted in bigger pots. If it is cooler, the rooting will take longer accordingly. The simplest way to multiply a peacock plant is the root division. The best time for a division is spring, for instance, if they have to be replanted anyway. 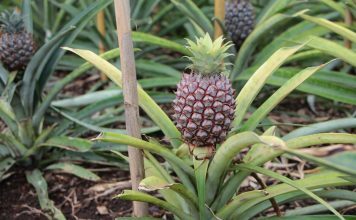 Root rot is the consequence of too much wet or a high salt concentration and life threatening for plants. It appears as yellow and dying leaves and rot at the rootstock. 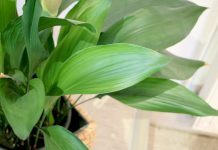 The concerning plant should be immediately repotted, sick and rot parts should be removed and it should be potted in fresh, dry substrate. 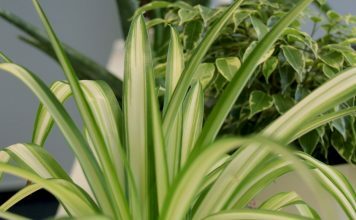 Especially in winter, spider mites can occur at the Calathea that can be identified with the white web among other things. Firstly, you cover the pot or rather the soil and then you buzz off the plant thoroughly. Afterwards the application of predatory mite is advisable. The humidity should be increased accordingly. Brightly dotted leaves can indicate the infestation of thrips. 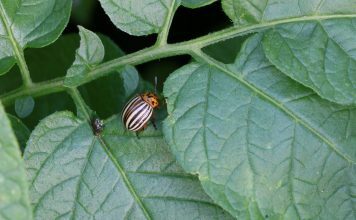 You buzz the plant off for pest control and you spray it repeatedly with a solution of soapy water and a tablespoon of spirit. 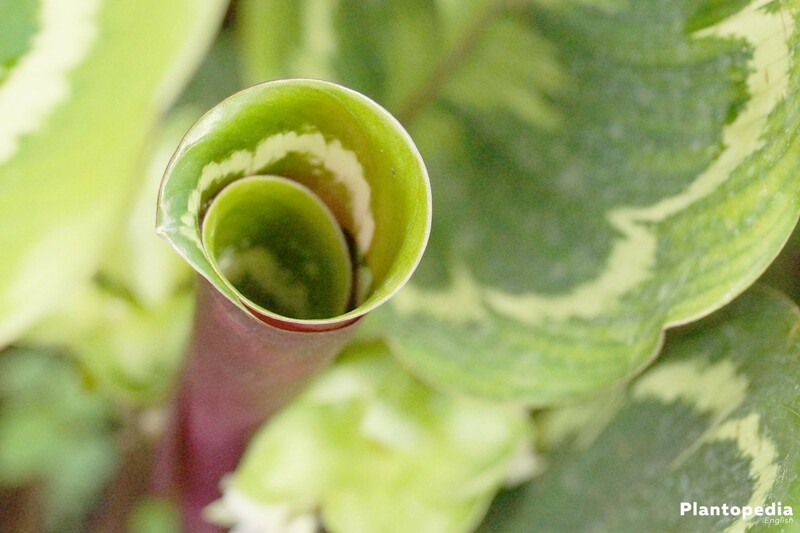 The lanceolate, up to 45 cm long and slim leaves of Calathea lancifolia are remarkably wavy. The basic colour is light green and changes to olive green at the leaf margin. The upper side of the leaf is covered with irregular, big and small, olive to black green spots that originate from the midrib. The bottom side is purple. 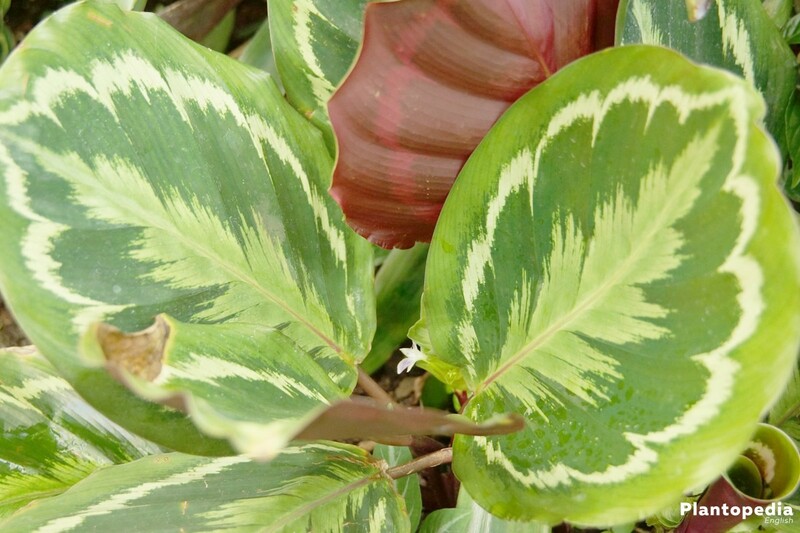 Originating from Brazil, Calathea crocata has wavy leaves as well. The dark green upper side and the purple-red bottom side make a wonderful contrast to the shiny yellow-orange flowers in January/ February. They have long flower stalks and survive 6-8 weeks. 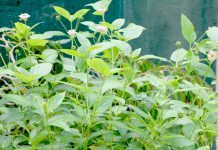 A so-called short-day treatment can lead to the fact that the enchanting flowers appear significantly earlier. 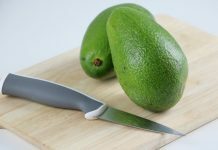 For this purpose, you keep them from Mid-August for some weeks with maximum 19 degrees and 10 hours daylight by covering them for instance from 6pm to 8am with a dark plastic film. 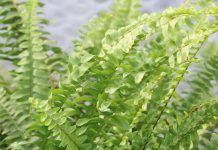 In contrast to most of the other species, this one has strikingly round and wide green leaves with cream-coloured, wide strips originating from the midrib. The leaves can reach a diameter up to 40 cm. The bottom side of the leaf is significantly brighter. 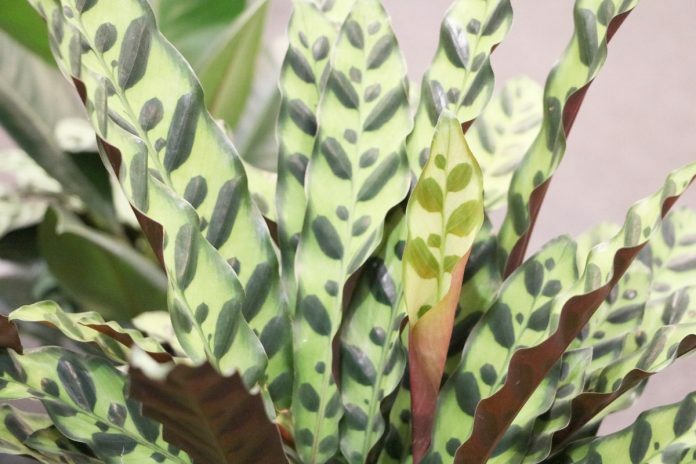 Calathea makoyana has approximately 15 cm long, oval pale green leaves with elongated, dark green spots and dark leaf margin on the upper side of the leaf. These spots are pale violet on the bottom sides. 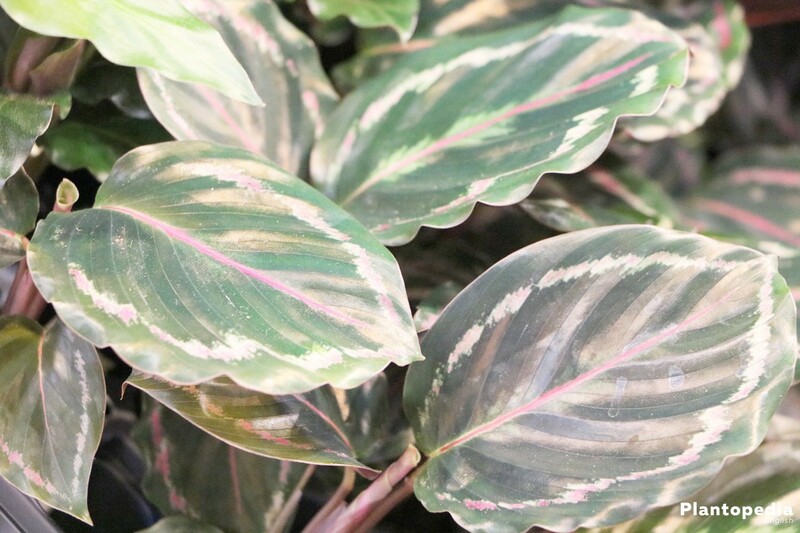 Originating from the rainforests of Costa Rica, Calathea warscewiczii impresses with its velvety, dark green leaves and bright, partly red marks on the leaves, whereas the bottom sides are dark-red coloured. The highlight of this species are the spectacular, pearly-white flowers in winter.